Review of the VISS IPL home hair removal system. IPL stands for intense pulsed light and is not as effective as the standard diode laser used to remove body hair. Lasers are also not a permanent method of removing hair. Electrolysis is the only true way to permanently remove it. This device, however, is still quite effective at slowing the growth, making the hairs finer and sparser. Hi everyone! In this video I will be reviewing the VISS IPL hair removal system. IPL stands for intense pulse light. It is different from the traditional hair removal laser. It’s not as painful, but also not as effective. 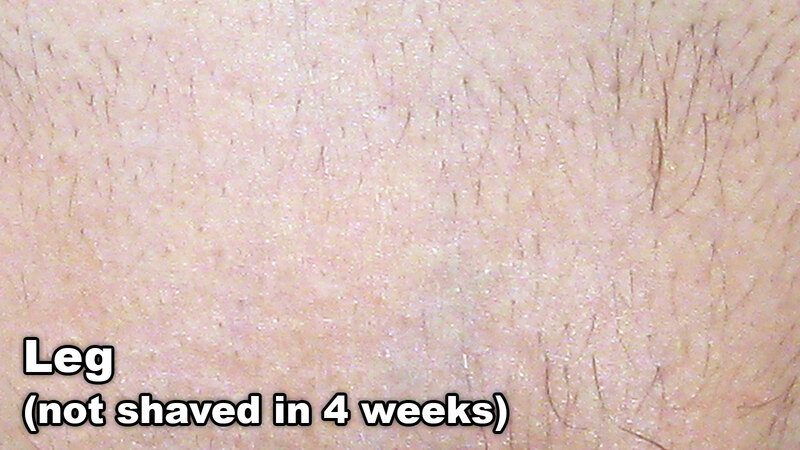 Using lasers to remove body hair is technically not permanent. For some individuals, it may not do nothing at all. For others, it will dramatically lower the hair count, making it thinner and sparser. Technically, the only way to permanently remove body hair is by electrolysis, which uses an electric current to destroy the hair root. This takes a long time because it has to be done one follicle at a time. Lasers and IPL machines can treat an area much faster, but again, it’s not technically permanent hair removal. Permanent reduction for some, but not removal. Another thing to note is that hair roots can only be damaged when they’re in their active growth cycle. Only a small portion of hairs in an area are actively growing, so the process takes a very long time to get rid of the hair. I hate body hair, I hate it. The first product I tried was electrolysis products by Verseo. Their products weren’t the traditional electrolysis devices. They were non-invasive, above the skin. But, it also didn’t work that well. There was a trivial amount of reduction but it would’ve taken forever to actually get rid of all the hairs, if at all. I then tried the no!no! which burns the hair. Returned it almost immediately. I didn’t like that at all. Then I wanted to try a laser and used the Tria laser. It was painful. The head is so small that I didn’t even bother using it on the legs because it would’ve taken three to four hours per leg. The downside was that it ran off battery life and needed to be charged. You can not use it while it is being charged. Despite the pain and discomfort, there was a slight reduction in hair. I did it on my face, which I had a lot of dark hair there and it did slightly reduce it. After about a year, it died and I returned it since it was still under warranty and decided to purchase the VISS IPL device. I am someone who does so much research prior to purchasing a product. I am very obsessive about that. I read what reviews I could find, which surprising wasn’t that many. There have been a few video reviews on YouTube, but I question the legitimacy of almost all of them since most people seem that they were paid by the company to promote the product. So, I thought I’d give an accurate video review of the product from an actual user who’s been using it since early 2012. This device is expensive. But, the upside compared to the Tria is that it does not run off battery life. When the lamp dies, you order a new one, which are still quite pricy. The treatment area is much larger than the Tria, so it takes much less time. I have used it everywhere on my body. From head to toe. The legs take the longest, about 45 minutes to an hour per leg, that is leg and thigh. Lasers work best when you have very fair skin and dark hair. So, people with dark skin and light hair will unfortunately not benefit as much from it. I have very fair skin, and dark hair so it works very well for me. However, a lot of my facial hair in this area [chin and upper lip] is gray for some reason, and it will not work on gray hair. So, I still have hair here that’s gray. The three spots I noticed the most reduction was the areas that had the coarsest, thickest hair. So, the face, the underarms, and the pubic area. It also comes with these glasses to help protect your eyes from the light. I treat an area about once a month. You need to shave the area prior to using the device, and I only shave my legs once a month, and people can’t believe how little hair is on my legs. It’s still there don’t get me wrong. This thing will never get rid of it all, but it has dramatically reduced the number of hairs and helped it become so much finer. Unfortunately, I do not have any before photos, but here is an area where you will see a significant reduction of hair. There are several levels of intensity. I always use it on the max and feel no pain. Though it is quite hot. Unfortunately, the button to emit the pulse of light has broken and it no longer works. So, I’m looking into the Remington i-LIGHT Pro which is also an IPL machine that should work well, but seems to be a bit harder to manipulate because of how awkward the handle is. Also, looking at the mē smooth which is, yet again, another IPL machine. The cool thing about that one is that it is automatic. You move it along your skin and it automatically emits the light. This would make it so much quicker and faster compared to the other ones. I guess when it comes down to it, it’s about the intensity of the light. Since these are at home devices, they aren’t going to work nearly as powerful as professional grade equipment. You may get some reduction, but nothing will be permanent. Also, you have to keep up with the treatments. If you don’t, then you may not notice the results. So in conclusion, I like this device. It has helped me remove hair from my face, which was my main concern. Didn’t want to look all manly with my facial hair. So, this has helped greatly. If any of you use some kind of home hair removal device or had it professionally done, let me know how that’s working. It’s always interesting in hearing about how hair removal devices work. Thanks for watching! My first product review. It was for a hair removal system, the VISS IPL, I had been using for some time that gave me wonderful results. I had a significant reduction of body hair. I even used it on my face which was a big help. It was after I tried a bunch of other products that simply didn’t give me much of any results that I bought the VISS and it certainly didn’t disappoint. Though, it is time consuming.